232 Creative is a full-service marketing and communications company serving startups, nonprofits and small businesses throughout Western and Central PA.
Our passion is helping our partners meet their business goals through the development and execution of the following strategies and tactics: digital and tradition marketing, web development and design, video production, public relations, brand development, content creation, social media, advertising and more. At 232 Creative, we thrive on working with entrepreneurs, creative professionals and employees of small businesses who may not have the staff, the time or the expertise to grow their businesses. In 1891, the Banker Brother Bicycle Company was Pittsburgh's pioneering bicycle shop stocking the most innovative bicycles available on the market. The Banker Brothers left their father's bicycle business behind to jump on the latest trend; automobiles. Today, we are all realizing that although cars are great, there is more to life than living in a steel box. 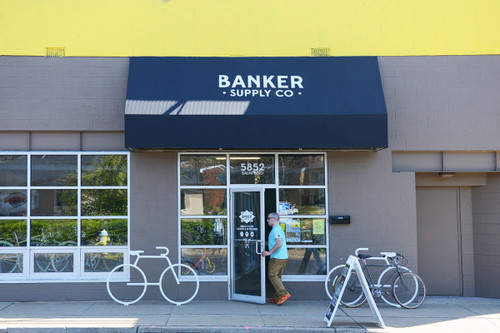 Located on the same street corner as the original Banker Brothers' car dealership, Banker Supply Co specializes in the newest and best clothing, accessories, and parts for those of us who love to ride. CGN Media Group specializes in Ecommerce and online consultation. 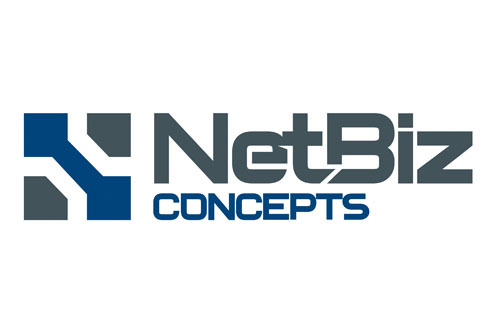 Founded in 2013, we focus on providing online solutions for our clients to help them meet their business needs. We're experts in user experience, lean design, agile software development, and product delivery. We always get our work done in an elegant, clean, and efficient manner. Our designers are passionate about engaging, usable interfaces and excellent client service. We specialize in user experience and information architecture, web and mobile app design, video and animation, editing and copywriting, and more. Our engineers are confident about building software both on and off the web, with expertise in front-end technologies and native mobile interfaces. We take pride in writing quality code that is easy to read and update after the project is complete. CRYO PGH is a Pittsburgh’s Premier Whole Body Cryotherapy Spa. Offering the safest, coldest most technically advanced whole body cryotherapy treatment available today. Through the use of our state-of-the-art CryoSauna it’s our goal to reduce inflammation, pain, muscle soreness and swelling. While also promoting, increased energy, weight loss, toner skin and improved sleep. We are committed to providing competent, friendly and efficient service to our clients in the Greater Pittsburgh region. Bring your willpower and your wits to Daring Escapes, an escape room where you’ll chase the thrill of freedom or feel the terror of a hungry zombie! You have 60 minutes to escape the room. There is one hungry zombie chained to the wall. Every 5 minutes the zombie's chain will be released another foot. By the end of the hour the zombie will be able to reach the door! You'll need to follow the clues, solve the puzzles, find the key and escape.. OR BE EATEN! Daring Escapes presents Trapped in a Room with a Zombie, the number 1 corporate team builder in the United States! Also perfect for date night, birthday parties, and bachelor/bachelorette parties. For more information please email Info@daringroomescapes.com. At the office and on college campuses, Evolve Coaching provides unique and individualized coaching support to adults in the areas of organization and communication. Mission: To serve children and young adults in their homes, schools, universities, and beyond. To provide unique and individualized coaching to meet the demands of a fast-paced, highly social world. Vision: To support the evolution of excellent students, workers, and citizens of the world. 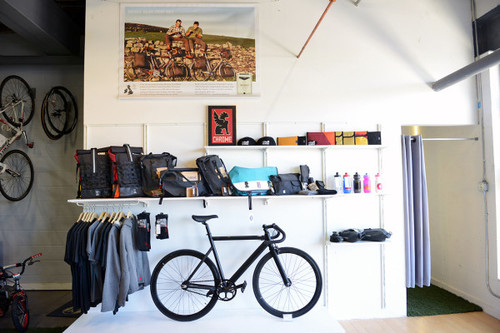 Successfully funded on Kickerstarter in 2011, Fiks:Reflective specializes in reflective clothing, wheel stripes, and sticker packs designed to help you stay safe at night without sacrificing style. Everything from design and research to production and international distribution happens from their offices at Cube Creative Space. FocusFeed, founded in January 2015, is a SaaS startup focused on increasing your online productivity. Its easy-to-implement dashboard allows you to create boxes and widgets to contain and organize your essential cloud-based tools. Whether you manage your business's social media or you are the head of your company, FocusFeed saves time and energy by having all of your favorite and essential tools in one central, easily accessible location. We offer direct, simple, honest advice and service to our clients. Explore our Facebook page for more information or call us for a free consultation by phone at 412-404-2931. Metis, a Mircom company, provides emergency warning systems for the commercial, manufacturing, governmental and educational markets. The Metis system uses a combination of map based software, emergency help stations, as well as the customer's existing devices (PA systems, LCD signs, etc.) to provide both targeted and mass notification in time of emergencies. In addition, the Metis system allows individuals to request help using panic buttons, wireless pendants or two way voice help stations so anyone in need can get help quickly. And their exact location is displayed on a map / floor plan for fast response. Metis has systems deployed locally and throughout the country protecting employees, students and visitors 24/7. We live and breath PPC advertising for B2B, manufacturing, healthcare and franchise marketing. We set up and manage campaigns for companies spending $1,000 to $50,000 per month on "Pay-Per-Click" and "Pay-Per-Call" ads on Google AdWords, Bing Ads and social media. Business owners and corporate marketing directors don't always have time or resources to stay on top of click-through rates, search impression share or conversion ratios. As the saying goes - they know that half of their advertising is working. They just don't know which half. Our audit services are guaranteed to find "wasted ad spend" in existing PPC accounts. We can turn them around so the search engines are not the only ones making all the money. North Cook Counseling proudly offers couples, family, individual, and group therapy to motivated and interested clients. Regardless of the type of session being held, we are committed to treating the whole person. You are not just a set of symptoms entering into therapy; you are someone with a rich and sometimes painful history of experience, culture, and relationships. By learning more about how this history and its patterns have shaped you, we can then begin to unravel the problem at its root, for long term healing and awareness. North Cook Counseling is located in the heart of East Liberty, in the Cube Creative building across the street from Whole Foods, and a short walk from the East Liberty busway, making your visit to therapy that much more convenient. Call or email us today for general inquiries or to schedule your first appointment! You’ll be so glad you did. We’re looking forward to hearing from you! We work with clients to build amazing software. Our E-Commerce and Healthcare Innovation practices help great clients do everything from unifying their e-commerce processes to creating software that identifies cancerous tumor drivers based on genetic data. If you’re building a custom web application, we’ll help you through every stage of the project, from brainstorming and needs planning to choosing the right technology stack (Ruby on Rails, Java, PHP, Node.js, and many others) to testing and deployment. If you’re building an online store, we’ll work with you to choose, customize, and launch the right tool (Solidus, Shopify, Prestashop, or one of a number of other popular e-commerce platforms). And, talk to us if you’re integrating nearly any online service (CRM, shipping, accounting, marketing, and most other modern tools … check out our e-commerce integration platform, FlowLink, https://flowlink.io). The Pittsburgh Physical Medicine team provides top-notch natural pain relief and injury treatment to the heart of Pittsburgh, right by Shadyside. We want to get you feeling better, faster, and functioning at your fullest potential. You deserve to be pain free, whether you are a weekend warrior, avid runner, CrossFit enthusiast, professional athlete, manual laborer, or suffering from everyday pain syndromes. We specialize in giving our patients the best combination of natural and holistic pain treatments in a timely manner. From the first day of treatment to the last day of your pain-relief program, you can rest assured and know that you are receiving the best in our “patient-centered” healthcare facility. Unlike most clinics out there, you will receive one-on-one care from a doctor 100% of the time. We provide you with the comfort knowing that you are receiving the best care possible from the highest trained professionals in the area. Our focus is on providing each of our patients with the care they need to get out of pain fast, and to help them stay pain-free, longer. We focus on relieving painful and injured areas using chiropractic and physical therapy modalities. After the initial pain has subsided, you will focus on rehabilitating the weakened and injured areas to help give them the strength they need to heal and stay free of pain. This way, we can relieve your pain and have you functioning at your fullest potential. The Pittsburgh School for the Choral Arts (PSCA) is a community leader in music education. We offer programs, classes, and camps to enrich our families, our communities and our lives. Our outreach programs include pre-school and after-school music education programs at Hosanna House in Wilkinsburg, pre-school music education at Angel’s Place in the Northside, Brookline and Swissvale, and a music discovery class for elementary aged children through Hope Academy of Music and the Arts in East Liberty. The Choral School includes three girl training choirs, one boychoir, a touring choir, and a Chamber Choir. We also feature a women’s choir, Women of Song, in the Spring. As a leader in music education and music outreach in Pittsburgh, we continue to enrich our community through the arts. Postmates is transforming the way local goods move around a city by enabling anyone to get any product delivered in under one hour. Postmates' revolutionary urban logistics & on-demand delivery platform connects customers with local couriers, who purchase and deliver goods from any restaurant or store in a city. Postmates' mission is to become the on-demand delivery infrastructure for every major city in the world. We are built by a passionate team of engineers, designers, operations and growth specialists, and is headquartered in San Francisco. The company was co-founded by Sam Street, Sean Plaice and Bastian Lehmann in 2011. Investors include Spark Capital, Founders Fund, Matrix Partners, Scott Banister, Naval Ravikant, Russel Simmons, Thomas Korte, Shervin Pishevar, Dave Morin and David Sacks. Shape Training is the premiere fitness boutique in Western Pa. From boxing to personal training SHAPE Training does it all with the best coaches in the business. Contact us to set up a complimentary class or one on one consult. Shift Collaborative is a creative agency that helps businesses and nonprofits solve marketing and communications challenges. Every day brings a new chance to grow your audience. But reaching new people, or even staying connected with those you’ve connected with already, becomes harder over time, as you compete with a million other voices to be heard and recognized. At Shift, we're ready to amplify your voice. We develop strategies that fit your mission and goals, then devise tactics and tools for implementing those strategies. We guide you and your team to use what we’ve created, or we do the groundwork for you, acting as an extension of your organization. We offer a full range of marketing and creative services, as well as event planning and fundraising consultation. Skycision has created a data-driven crop management solution for the global agriculture industry that leverages drone-collected aerial imagery. The geo-referenced images collected can save time and money in the scouting process, while also helping to pinpoint exact areas of crop stress. By analyzing imagery and other key metrics over a period of time (i.e. annually), we enhance managerial control and give the grower the tools necessary to optimize the inputs into their fields. Skycision's iOS app enables any grower to become a master of the sky by simply clicking a region of interest on Google Earth, Skycision's mobile flight planning does the rest. A grower can go back to combining, spraying, or pruning their fields while the drone flys overhead, collecting high resolution imagery and relaying it back to the cloud in near real-time.